Prestwick Airport, Scotland, UK. 13 July, 2018. President Donald Trump arrives on Air Force One at Prestwick Airport in Ayrshire ahead of a weekend at his golf resort at Trump Turnberry where he is expected to play golf. 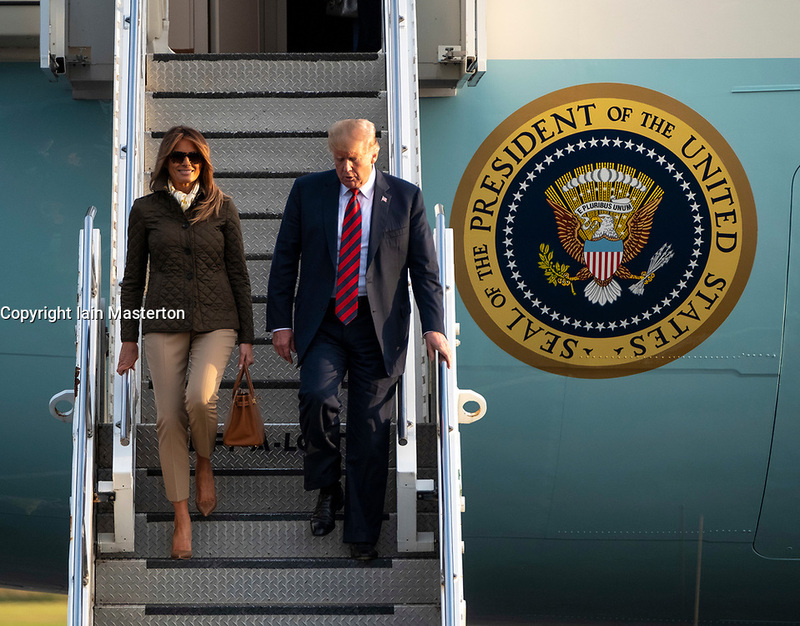 Donald and Melania Trump exit Air Force One.